Delano Floyd McCoury was born on February 1, 1939 in Bakersville, North Carolina. His family moved to Glen Rock, Pennsylvania soon after, in 1941, and this is where he got his start with the five-string banjo. To begin his music career, he first played with Keith Daniels and the Blue Ridge Ramblers. Later he played with Jack Cooke’s Virginia Mountain Boys in Baltimore. In 1963, McCoury got his big break when Bill Monroe hired the Virginia Mountain Boys to play a few New York gigs. 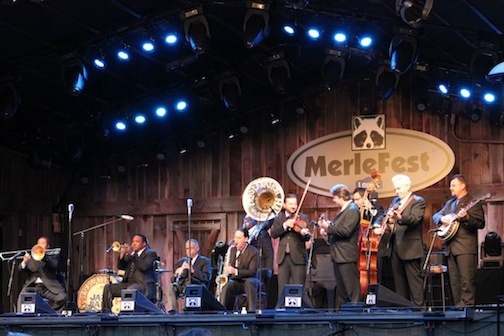 Monroe was so impressed by McCoury’s banjo playing that he invited him to join his Blue Grass Boys. He soon became the lead vocalist and began playing rhythm guitar for the band. 1964 was a year that not only produced a recorded single with Bill Monroe, but it was also the year that McCoury returned home and was married. Soon after, he teamed up with fiddler, Billy Baker and they spent three months in California playing with the Golden State Boys. Upon his return home, he played with The Shady Valley Boys. 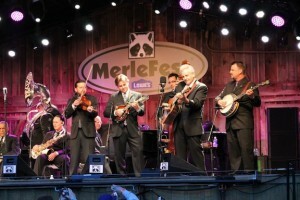 McCoury left the group in 1967 and founded The Dixie Pals with Bill Emerson, Wayne Yates, and Billy Baker. The Dixie Pals played together for over twenty years and recorded on Rounder, Revonah, Leather, and Revel Labels. 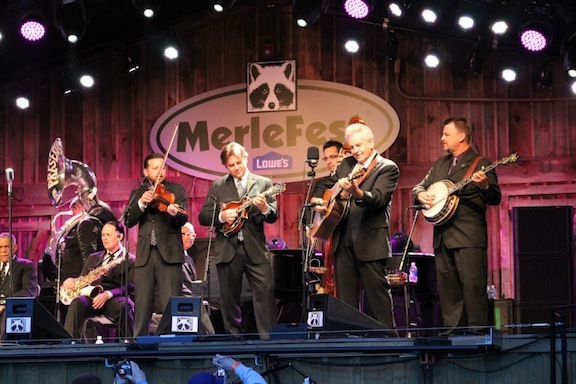 In 1987, McCoury’s sons Ronnie and Robbie joined the group and they renamed themselves the Del McCoury Band. Ronnie brought a mandolin to the group, while his brother Robbie played the banjo. The Del McCoury Band was very successful and had several great releases for Rounder. In early 1999, they began reaching an entirely new audience when they sang with Steve Earle on his album The Mountain. Del McCoury soon ended his relationship with Rounder and moved to Ricky Skaggs Ceili label for the Family and Del and The Boys records. The band released It’s Just the Night in 2003, followed by The Company We Keep in 2005, the gospel-infused Promised Land in 2006, and Family Circle in 2009. An LP was released in 2001 called Old Memories: The Songs of Bill Monroe, which featured McCoury. The Del McCoury Band is still out and about touring today. Though the times have changed a lot since they first began, they have stayed true to their roots and still produce a clean bluegrass sound today.